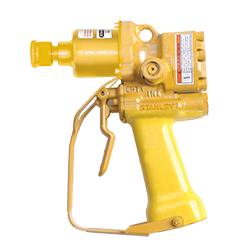 The Stanley SK58 underwater sinker drill is a heavy duty rock drill designed for underwater drilling in conrete, rock and masonry. 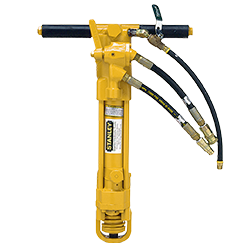 The SK58 uses industry standard drill steel and can drill up to 20' (6m" deep. 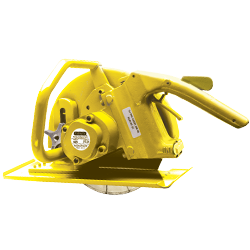 The direct drive rotation motor drives the 1" x 4 1/4" hex shank drill steel and is adjustable between 0 and 300 rpm.